If you're searching for an East Providence, RI, carpet cleaning service to clean the carpets at your home or business, Universal Cleaning Concepts is here for you. Our punctual, professional staff takes the time to figure out what package best suits your specific needs, providing you with a quick response. We approach each job with a meticulous outlook from start to finish, priding ourselves on our commitment to excellence. We understand that your carpets are a long-term investment, and our licensed team strives to meet all your hygienic demands. Our business is locally run and operated, making us knowledgeable of the local climate and the grunge that can seep its way into your carpets. Our goal is to clean up the filth hidden among the fibers, including dust, allergens, and dirt. Open seven days a week, our East Providence, RI, carpet cleaning service is here for you whenever you need us. Contact us at Universal Cleaning Concepts to learn more about our cleaning packages and estimates. As a church administrator, you have plenty on your plate. Keeping your building neat, clean, and ready for services is the last thing you should have to worry about. At Universal Cleaning Concepts, we make it easy to keep your church building clean and sanitary for your church members without burdening someone on your staff with time-consuming cleaning tasks. At Universal Cleaning Concepts, we know our clients count on us to provide discreet, reliable, top-quality cleaning services, and we consistently deliver. Our carefully screened, handpicked cleaning professionals understand the importance of professionalism, and always conduct themselves according to a strict code of ethics. When you work with Universal Cleaning Concepts, you can rest assured that your building will clean, fresh, and ready for anything. Get the worry-free church cleaning service you and your congregation deserve. Call Universal Cleaning Concepts in Providence, RI today to request an estimate and learn more about our services. If not cleaned properly, college campuses can play host to rapidly spreading illnesses like colds and flu. That’s why it’s so important to work with a cleaning service you can trust to do the job right. When you hire Universal Cleaning Concepts, you can relax, because when it comes to maintaining a clean environment, we’ve got you covered. At Universal Cleaning Concepts, we go the extra mile to provide reliable, worry-free service to each and every one of our clients. No matter how big the project, we pledge to handle it with professionalism and meticulous attention to detail. All of our team members are carefully screened and thoroughly trained according to the highest standards of quality. As our client, you can expect exceptional results and outstanding service. Your students and faculty deserve the cleanest, healthiest learning environment possible. And we can help. Contact Universal Cleaning Concepts in Providence, RI to learn more about our professional cleaning services and to request a quote. 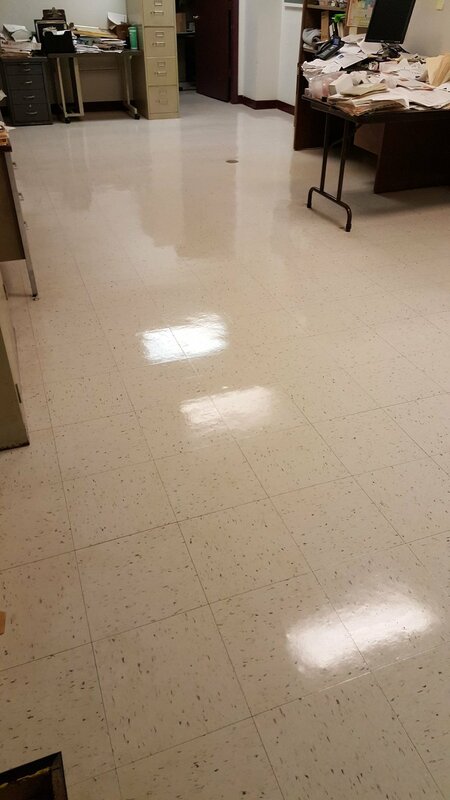 A clean, fresh facility makes a great first impression on your customers. But a dirty, disorganized office is more than just unprofessional; it’s unhealthy. Carpets, kitchens, bathrooms, computers and office surfaces can harbor harmful dust, allergens, and viruses. And no matter what business you're in, dusty odors and dingy floors are anything but appealing. 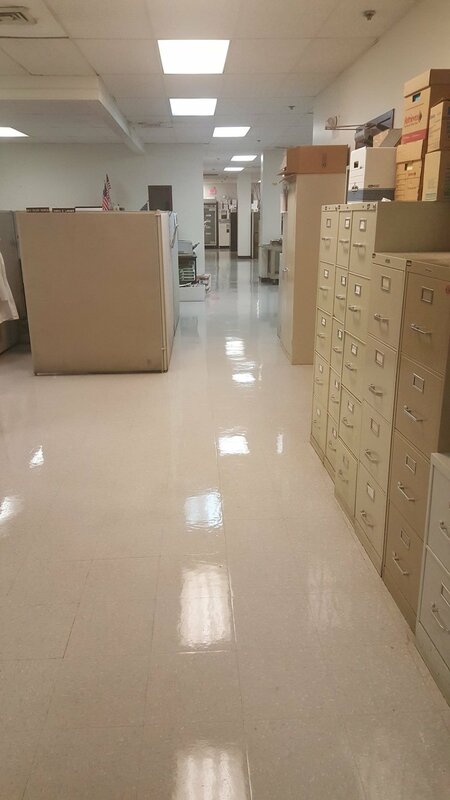 At Universal Cleaning Concepts in Providence, RI, we provide dependable, high-quality commercial office cleaning services. Our goal is to provide you with a clean, healthy environment for your employees and customers. The cleaning professionals at Universal Cleaning Concepts are carefully trained to provide a meticulous clean at each and every visit. And because your satisfaction is our highest priority, we’re committed to providing nothing less than the very best customer service. Reduce employee sick time and keep your office looking neat and professional with commercial office cleaning services from Universal Cleaning Concepts. Providing a safe, sanitary environment for hospital patients is critical. But while hospitals are intended to be places for healing, they can also contain dangerous infection-causing microorganisms. At Universal Cleaning Concepts, we’re your partners in clean. We have the specialized skill it takes to make your facility the safest, healthiest environment possible for your patients and their loved ones. At Universal Cleaning Concepts, we take our role in your patients’ health seriously. Our team of carefully screened, well-trained cleaning professionals performs every task according to our rigorous quality standards. We understand that our most important job is helping to prevent healthcare-related infections. And because our commitments to quality and service are second to none, you can expect us to work hard to exceed your expectations at every turn. The cleanliness of your hotel is critical to the success of your business. And when it comes to hiring a cleaning service, you need to hire the best. At Universal Cleaning Concepts, we make it easy and cost-effective to make a great impression on your guests. That means great reviews, customer loyalty, and an exceptional guest experience. As a hotel owner, you know how important it is to provide clean, fresh-smelling accommodations for your guests. And as a professional cleaning service, we know that the quality of our service plays an important role in your success. We’re committed your total satisfaction, which starts with the total satisfaction of your guests. Our handpicked team of cleaning professionals will ensure that each room in your hotel is kept spotless, down to the smallest detail. Win your guests over with cleaning service from Universal Cleaning Concepts. We put your success first. Providing a clean, healthy environment for your students and teachers is an important part of your role as an administrator. But you have enough on your plate without worrying whether your school’s cleaning service is up to par. At Universal Cleaning Concepts, we partner with schools in Providence, RI to help keep students safe and healthy through high-quality, professional cleaning services. With so many students in such close proximity, schools can become breeding grounds for harmful bacteria and viruses. Meticulous attention to detail in cleaning is critical to preventing the spread of illnesses like colds and flu. That’s why it’s so important to work with a cleaning service you can trust to do the job right and that cleaning service is Universal Cleaning Concepts. Provide a safe, healthy environment for your students while helping to make your school a great place to spend every day. Call the cleaning professionals at Universal Cleaning Concepts in Providence, RI today to learn more about our services and to request an estimate.